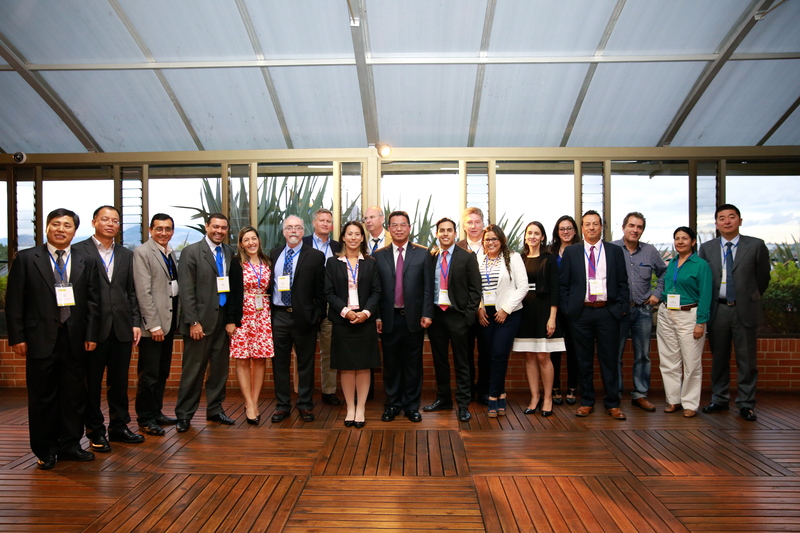 In recent weeks, Methane International has continued to feature presentations from the 2016 Global Methane Forum (GMF). Previously, we covered the GMF’s plenary session on China’s Food Waste and Sludge Management Practices, Challenges, and Lessons Learned and a series of new innovative projects piloting Technologies to Quantify Methane Emissions. Output from CSIRO’s three-dimensional COSFLOW model used to characterize the mine’s structure and hydrology. This week, we’re highlighting Dr. Hua Guo’s case study on Underground Coal Mine Methane (CMM) Capture and Emission Reduction. Dr. Guo, Coal Mining Research Director for Australia’s Commonwealth Scientific and Industrial Research Organization (CSIRO), collaborated with staff from Glencore International’s (formerly Xstrata) Bulga Underground Coal Operation outside of Sydney. Studying the Blakefield South Mine, the project team worked to develop a holistic and optimal approach of planning, design and operational control of CMM drainage and ventilation systems to maximize methane capture and minimize fugitive emissions in gassy and multiple seam conditions. Two-dimensional characterization of the Blakefield Mine site. After extensively characterizing the mine complex’ hydrogeology and monitoring emissions, the project team used CSIRO’s COSFLOW model, combined with calibrated field studies, to develop a three-dimensional analysis of the mine strata, hydrology and gas to assess key parameters for the site’s gas drainage, and design an optimal gas drainage plan for the site. The project team implemented a trial demonstration in a longwall mine including a goaf gas drainage system consisting of underground horizontal holes in the roof and floor seams. The trial resulted in improved gas capture performance, increased drainage efficiency, improved mine safety and coal productivity, and increased methane capture and emission reductions. To learn more about this innovative project, see the above presentation link. Methane captured from the floor lateral holes is used in a 9-megawatt power generation unit. The United Nations Economic Commission for Europe (UNECE) and the Republic of Poland have joined together to establish an International Centre of Excellence (ICE) on Coal Mine Methane. Operated by the UNECE Group of Experts on Coal Mine Methane and hosted by Poland’s Central Mining Institute (Główny Instytut Górnictwa, GIG), the ICE will act as a clearinghouse and training center for the entire region. The ICE will broadly engage coal mining stakeholders and the general public, in order to raise awareness about opportunities for methane mitigation and distribute best practices for the capture and reuse of methane from the entire coal sector, from production to final use. In May 2015, U.S. EPA GMI Coal Subcommittee Co-Chair Felicia Ruiz and the Chair and Secretariat of the UNECE Group of Experts on CMM met with representatives of the Polish Ministries of Economy, Treasury and Foreign Affairs to advance development of the ICE. Following up on that work, on 2 November 2015 UNECE Executive Secretary Christian Friis Bach and Jerzy Pietrewicz of Poland’s Ministry of the Economy signed a Memorandum of Understanding formally creating the ICE.